ManBacon, I bacon heart u. Today and every other non-commerical day. Lovely! 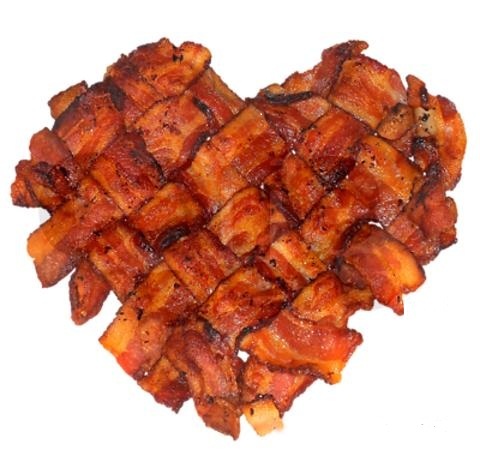 How did you weave the bacon into such a perfect heart shape? He didn’t weave it into the shape of a heart. I did. If you’d like it on a Tshirt, it’s on CafePress. Ooh, a romantic sizzling bacon poem. I love it! Thanks for stopping by my blog for Happy Bacon Day. Will be sure to watch your take on 365 days of bacon, bacon, bacon.